On a late November day that was happily much warmer than the one I left behind in Canada, three other writers and I landed at Cayo Coco in east-central Cuba. We weren’t there for the beautiful beaches (which fortunately are still very much intact after Hurricane Irma), or to see Havana. 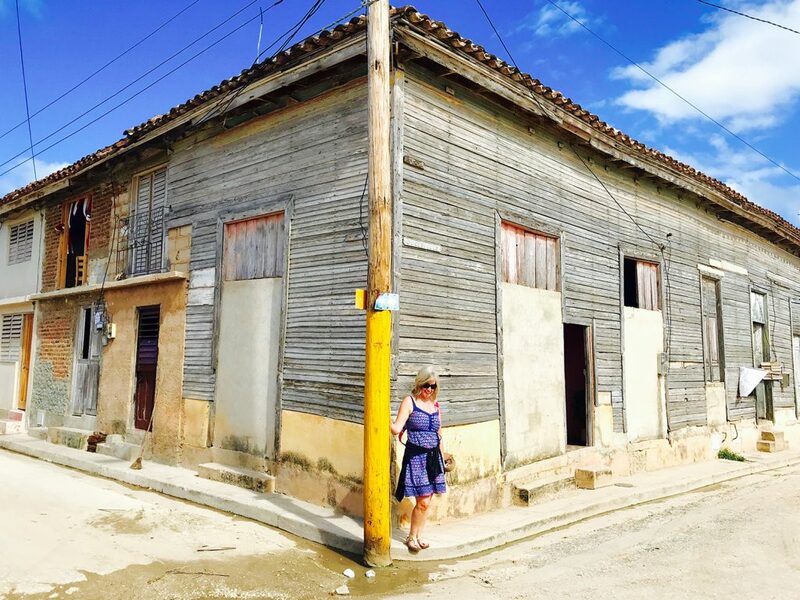 We were there to explore El Oriente: eastern Cuba. 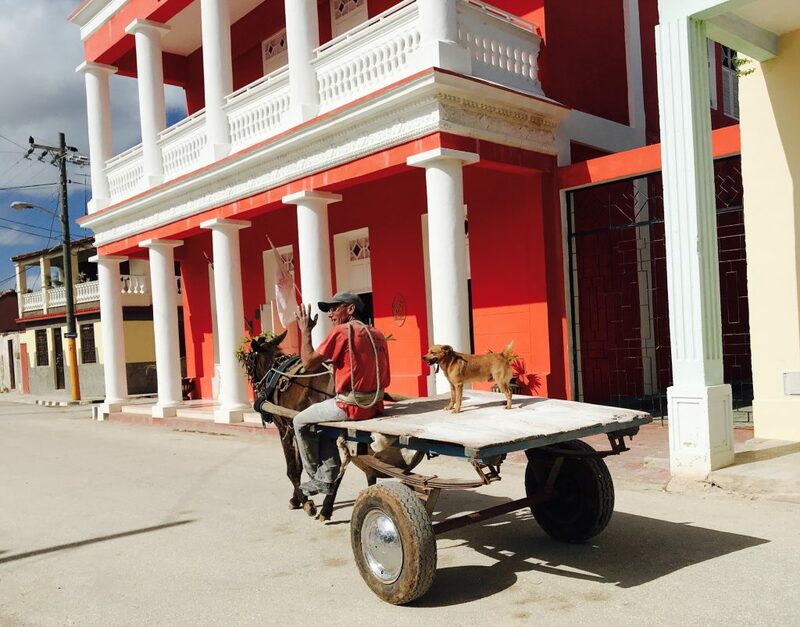 “There is so much culture and history in this part of our country,” our 30-year-old local guide, Eddy Lorente, told us as our minibus driver whisked us off towards Camaguey. I was soon to find out that there is a less-frequented but incredibly fascinating side of Cuba just waiting to be discovered. On the meandering drive through wide landscapes of sugar cane fields and cattle ranches, I noticed a certain rhythm to the light traffic: every conveyance on the road — which ran the gamut from from bicycles to horse-drawn carts to motorbikes with sidecars to the vintage 1950s American cars that have become an iconic symbol of the country — easily and safely danced around each other. Nobody pushed anyone, and all gave a friendly wave as our minibus passed. 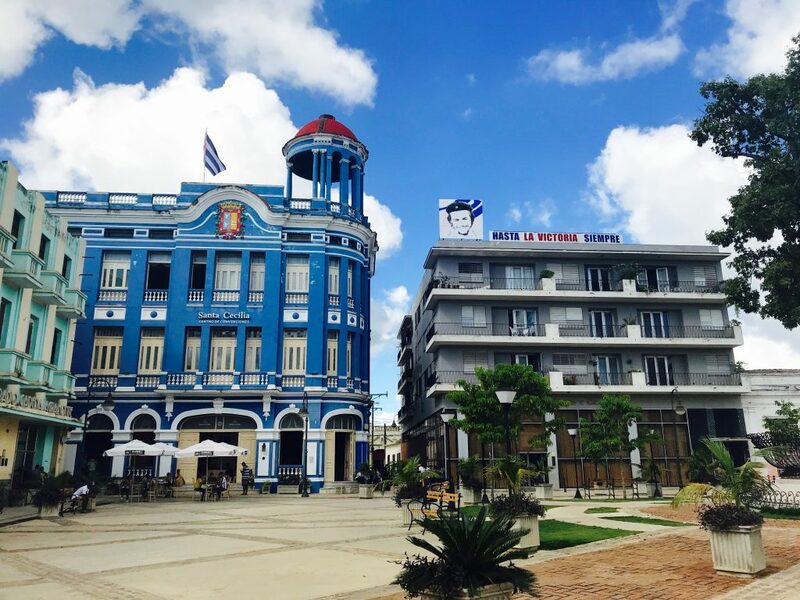 We soon arrived in the city of Camaguey, which with a population of about 300,000 is the third-largest in Cuba after Havana, which has 2.1 million, and Santiago, which has 500,000. This historic centre is full of pretty, winding streets and alleys. Its maze-like layout is said to have been deliberately created to foil potential attackers after privateer Henry Morgan raided the city in the 1600s. Many of the cobbled streets lead to “plazas,” or squares, some featuring a statue of a revolutionary hero — for example, Ignacio Agramonte, who fought for freedom from Spain in the mid-19th century. These squares are public meeting places: older Cubans gather to catch up on local gossip, while many younger people come to use the Wi-Fi, since squares are one of the few places public Wi-Fi is available in Cuba. Of the two days we spent exploring Camaguey’s art galleries and speaking to the artists — not to mention enjoying some really great meals complete with live Cuban music accompaniment — a standout moment was taking in a rehearsal of the renowned Camaguey Ballet, which is marking its 50th year. World-class ballet in a small city in central Cuba — who knew? Before coming to Cuba I’d wondered if I would feel vulnerable as a tourist walking around in the streets of various towns, especially after dark. Well, never once did I, or any other person in our group, feel unsafe or threatened. We easily and comfortably got around on foot and by “bicitaxi” (bicycle rickshaw). Our next stop was Santiago de Cuba, at the southeastern tip of the country. Ringed by the majestic Sierra Maestra mountain range, the city is home to the bullet-pocked Moncada Barracks (now a museum) that Fidel Castro and his band of rebels, including brother Raúl, stormed in 1953. They failed, were jailed, and then traveled to Mexico, where they met Che Guevara, with whom they returned to Cuba to eventually overthrow the dictatorship led by Fulgencio Batista. Santiago celebrates all things Revolución and is home to the Santa Ifigenia cemetery, the final resting place of many national heroes including Jose Marti (whose poetry was used in the song “Guantanamera” — which you may have heard once or twice) and Fidel Castro, who died in 2016. We visited the cemetery and saw the simple boulder that holds Castro’s ashes; he wanted no statues in his honour. Cuban cuisine has a reputation for being bland, but while it’s true that the local dishes are not spicy-hot like some other cuisines in the Caribbean and in Mexico, I didn’t mind because the food is so fresh, and the flavours like onions, garlic and herbs weren’t overwhelmed by too much heat. And there were fresh vegetables and fruits at almost every meal. One of my favourite dishes was Ropa Vieja, or stewed shredded beef. 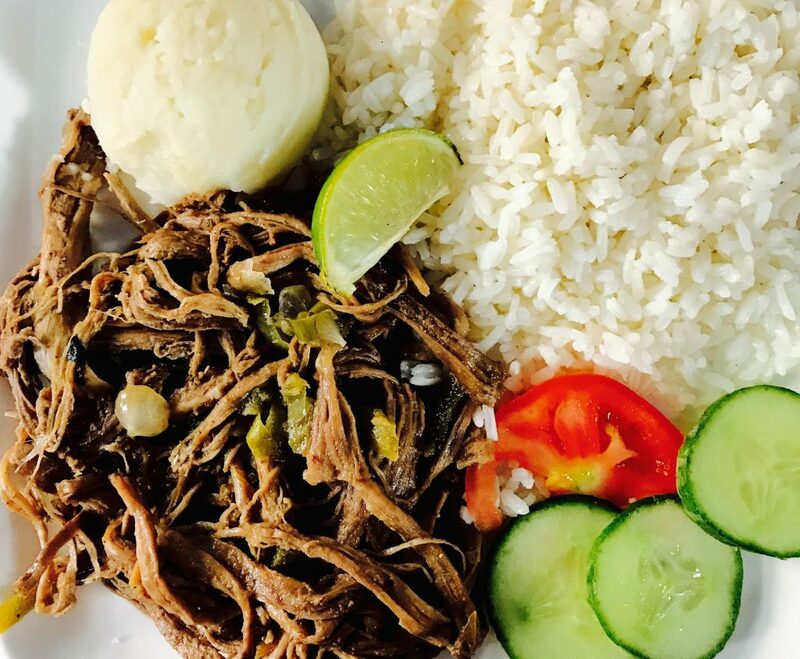 The expansion of paladars — restaurants run privately out of people’s homes — is a great thing for Cubans and visitors alike. Paladars have been around for many years, but only in 2010 did regulations relax: they now have more diverse offerings, and are allowed to serve many more people, including tourists. While in Santiago we visited the paladar Compay Ramon, run by the effusive Ramon Guilarte and his family. Guilarte’s wife Maira and daughter Viviana cooked dishes from scratch including Picadillo, delicious ground beef simmered with spices, garlic and sweet peppers. The place definitely had a farmhouse feel. “We want our guests to feel like family,” Ramon told us, and we did — especially since we were actually eating at the family dining table. Our last stop in eastern Cuba was Holguin. 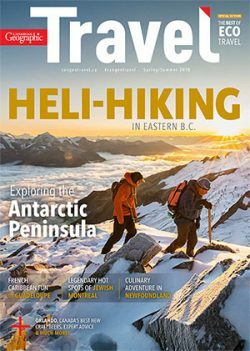 International flights land here, and buses whisk foreign arrivals to the resorts about a 40-minute drive away. We were looking forward to two days at the Playa Pesquera Beach Resort (which would include a day trip to the lovely seaside town of Gibara) to finish off our trip, but first we made the time to climb the 460 steps up to Loma de la Cruz, or Hill of the Cross, to enjoy the breathtaking view of Holguin. A trio of musicians — we’d seen so many during our week here so far, and the talent is incredible — were atop the hill playing lovely Cuban songs, just to add to the atmosphere. It was magical. From the delicious Cuban coffee and rum — did I mention that minty fresh-lime Mojitos are fantastic? — to the warmth of the people to the beauty of the towns, Cuba is at the top of my list of places to return to and explore some more. I love the rhythm of daily life here, including the music that seems to be everywhere. Cuba feels safe, and it’s friendly and beautiful. What’s not to love?